The San Antonio Hotel Cliffside Dinner Restaurant in Imerovigli lures its guest with sumptuous delicacies reflecting Santorini’s Mediterranean heritage. 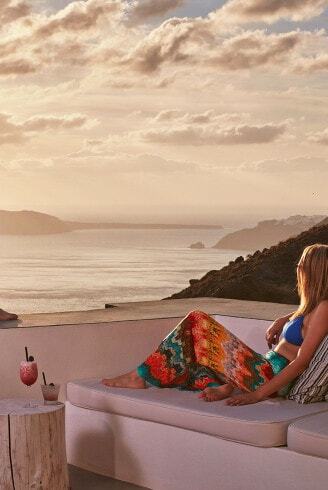 Local wines from Santorini whet the palate and add to the intimate feel of this authentic gastronomic journey colored by the vermilion sunset. 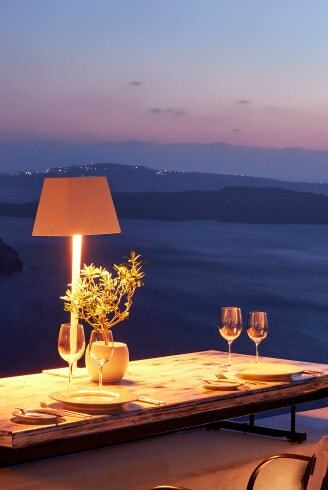 This romantic sea view restaurant in Santorini offers one of the most beautiful locations on the whole island to enjoy a gourmet meal with your loved one whilst gazing out over the view of the Aegean sea and the endless sky.